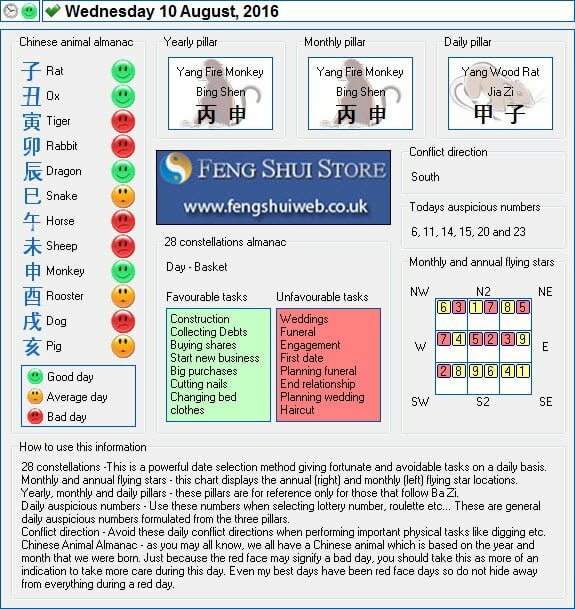 Here is the Free Feng Shui Tong Shu Almanac for Wednesday 10th August 2016. Hi, Could you tell us, is there anything we can do to minimise the negative effect of having our bathroom in the south west corner of our house? I cant seem to find any info. on this. Thank You for your advice.